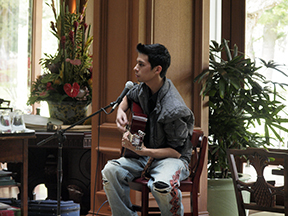 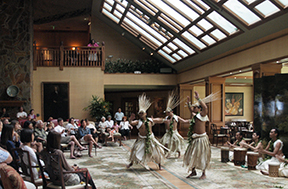 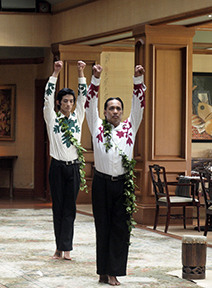 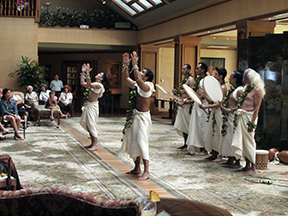 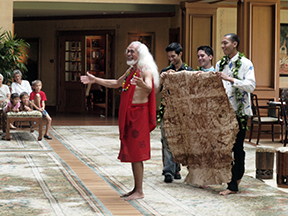 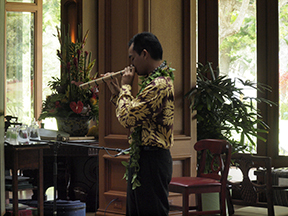 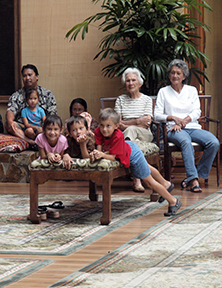 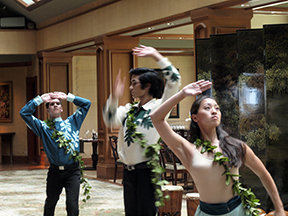 The Tau Dance Theater performed a 75-minute program for a capacity seated crowd of 140 people on Saturday, 6/5 in the great ambience of the Four Seasons at Koele Lodge's Great Hall. 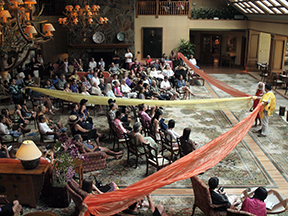 Director Peter Espirtu's talented young group opened with a lovely traditional chant, followed by a wonderful storytelling portion, which instantly won over the crowd, especially the youngsters in the audience and featured a visually striking illustration of the sun with long streamers of cloth arrayed out in three arcs throughout the audience. 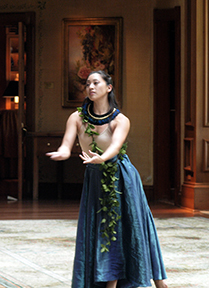 The troupe’s performance included 12 separate pieces that featured and showcased their innovative fusion of ballet, modern dance and hula, interspersed by two songs by one of the male dancers singing his own compositions, and accompanying himself on acoustic guitar. 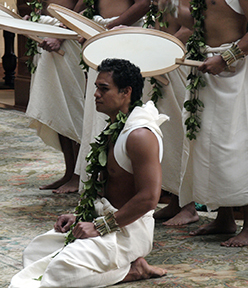 The show concluded with a really stunning premier of a portion of their new work, Poli’ahu, Goddess of Maune Kea. 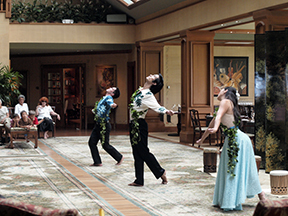 A really memorable afternoon and watch their web site for the premier of the complete new work this fall! 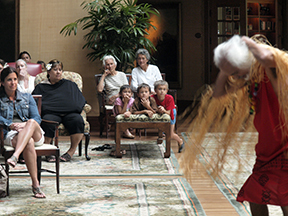 Click here to visit the Tau dance Theater web site for touring schedule, classes, events and more!